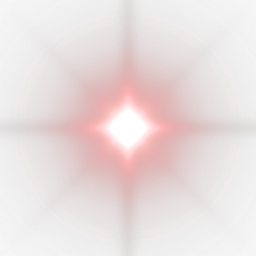 Solaroids | The classic game like you've never played it before. 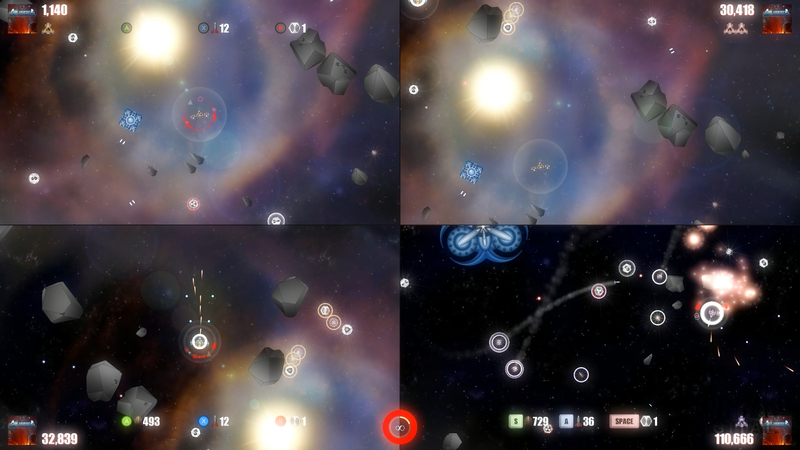 A re-imagined version of the classic Asteroids® as a single or local multiplayer shooter. 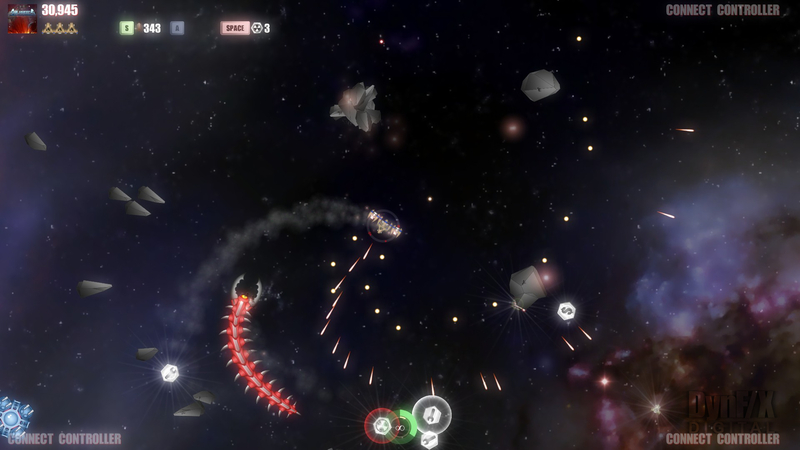 Dodge and strafe your way to victory against insurmountable odds. Compete on the global Leaderboards using either modern “Twin-stick” or classic “Tank” controls, and see how you stand up to the best pilots. Help Solaroids earn the respect it deserves on IndieDB! 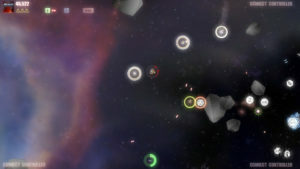 Reduced feature build for Xbox 360 still available at: Solaroids: Prologue. 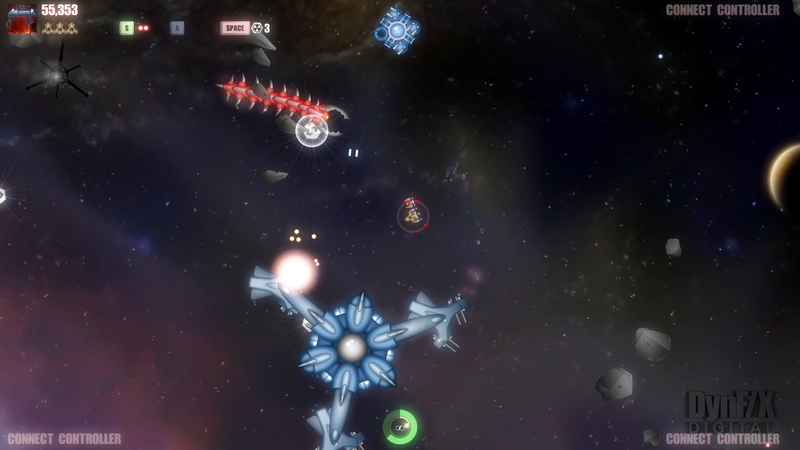 Solaroids is a re-imagined version of the classic Asteroids® as a single or local multiplayer shooter that retains the essential premise that inertia is the missing ingredient of many modern top down shooters. One to four players can experience a Campaign mode that progresses from tame introductory levels to epic high-octane space battles that will challenge even the most experienced pilots. As the campaign progresses, and the threat continues to grow, the types of weapons and firepower at your disposal will also increase. As you get familiar with the game mechanics and the properties of different hazards and enemies, you will learn many subtle aspects of the game: what combinations of piloting, armament, and strategies result in the most success and fame. While each player competes for high scores individually, to accomplish this each must choose their own path; whether to be friend or foe, work together or individually, fight or flee. 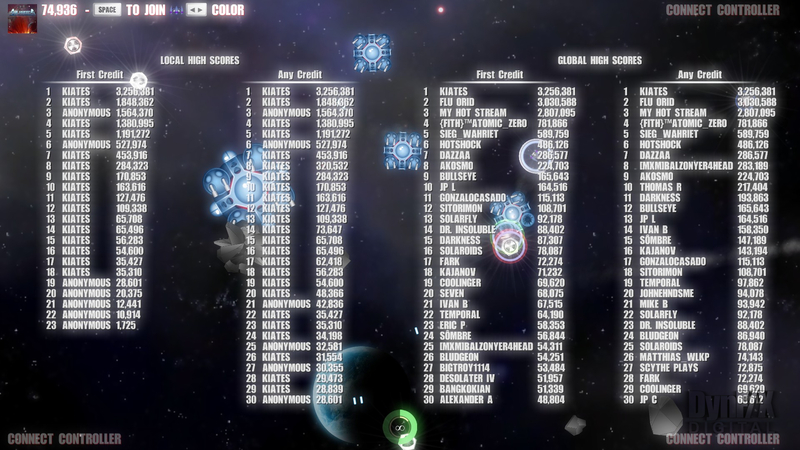 Each player can customize their ship colors and join or leave the game at any time. As participants come and go, the action never stops. If you are in need of a “quick fix,” Free Play mode is always waiting with its instant ramp up, and unlock of all weapons and enemies. Solaroids: Prologue will continue to evolve with input continuously gathered from players in the community, as it makes its way to an official release as Solaroids! 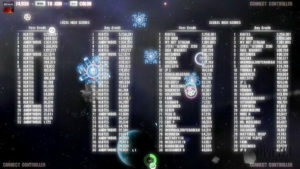 Single player shown, if multiple players are in game each is allocated an area of the screen. With controls similar to the original, learn to pilot your craft using the enhanced precision of an analog thumbstick and triggers in order to carefully regulate the amount of thrust necessary to intercept or evade incoming threats. 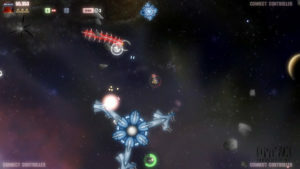 Your ship is equipped with an upgradable primary weapon, as well as slots for optional secondary and defensive weapons that can be discovered as the game progresses. If a couple of your mates walk in, have them join in the fun. No need to leave the game to add players, as they can join in at any time. 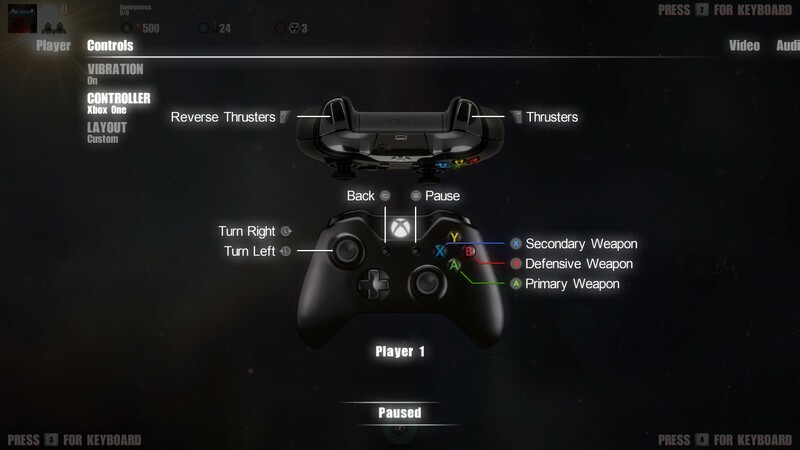 Just connect another controller, optionally customize the color scheme, and pow… your in! Someone needs to drop out for a while, just don’t continue and the game will be forfeit. No worries. Someone take your loot, or fire a little too close for comfort… Pop of a few rounds to let them know who’s boss and that it’s not appreciated. Nobody’s gonna stop you!